The Learning Zones contain four Investigations that lead learners into asking questions and finding answers that will help them towards a firmer grasp of some of the important aspects of the nightjar's life and evolution. Notes and guidance for both learners and teachers are available for download as well as other documents to support learners in their Investigations. More classroom materials are currently being developed and will be available soon. 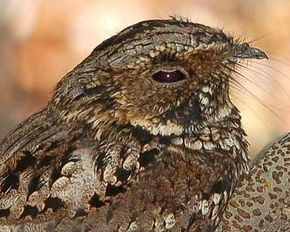 There is information here on recent and on-going research into the biology and ecology of nightjars and their associated habitats. With links to the national research projects carried out by the BTO, RSPB and other academic organisations the scope, range and importance of work on this iconic bird can be seen.